- The Villa d'Este in Cernobbio: From far away, we could already see the bright color of the Villa perfectly contrasting with the deep blue of the Lake. The Villa d’Este typically represents the spirit of a classic Italian villa surrounded by beautiful gardens. 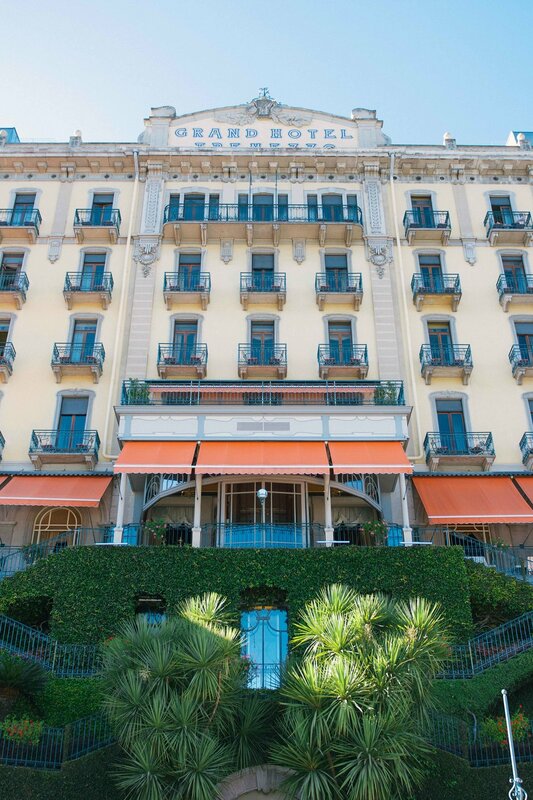 - The Grand Hotel Tremezzo sits directly on Lake Como and is situated right next to the Villa Carlotta. 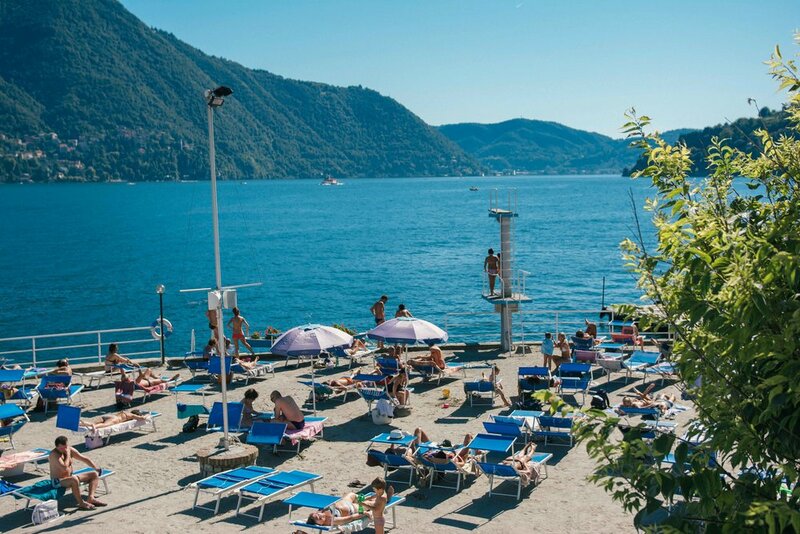 Have a refreshing stop at the Grand Tremezzo to enjoy the « Beach Bar » dominating the floating pool on the lake. - Facing the peninsula of Bellagio, we then took the ferry to take a walk in the narrow streets of Bellagio. Also referred to as « the pearl of the Lake », it is definitely the most romantic and picturesque place of Lake Como. We walked through the cobbled streets and alleys of Bellagio and came across the "Villa Serbelloni" We suddenly found ourselves immersed in a Slim Aarons picture. La Dolce Vita at its finest!